Welcome to Eldey Airport Hotel, a family run three star hotel, located only a 10 minute drive away from Iceland’s main airport – Keflavik International Airport. 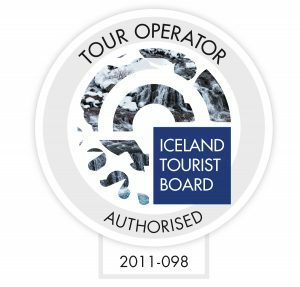 We have everything you need to get started on your adventure around Iceland, whether it be a good nights rest or some in depth information about navigating your way around the country. At the hotel bar Vindbarinn you can enjoy a drink inside our lounge, in our outdoor seating area or better yet in our open air hot tub. You can wind down in the sauna, chat with friends in the lounge, or borrow a book or dvd if you prefer. We offer free wifi throughout the hotel and free parking on the grounds. In our Guest Information Centre you can have access to a computer, scanner and printer, to get all the necessary papers you need to continue your travels. Our 24 hour lobby will help you to check in and give you all the information you need. Eldey Airport Hotel has 50 rooms, all equipped with a cable TV, free wifi, blanket, bathroom, hair dryer, closet and safe. All bathrooms have a bathtub and shower, with complimentary shampoo/shower gel. Next to our reception area we have a Guest Information Centre where our staff can help you to choose what kind of tours you would like to book. Our friends at Travice are the best priced in the area and work as a connection service to the big companies based out of Reykjavík. They also do their own private tours and we can definitely recommend them.